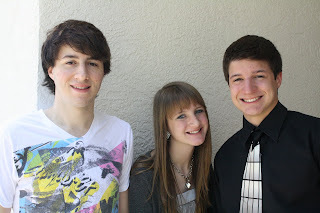 Photo of my kiddos a few weeks ago when we were getting ready for Jordan's graduation. When we got home from work last night Larry wanted us to go on a date. We went to the theatre to see Glenn Beck's Encore of the "Common Sense" tour. It was excellent. I hope somehow, everyone can see it if they never got to the theatre to see it. It was so funny -- I laughed so hard I cried and at one point, I just had my face buried in a napkin and wiped the tears for about 5 minutes straight while I laughed. If I wouldn't have had my face in the napkin I would have laughed so loud the whole theatre would have heard me. It was THAT funny. But it was also very inspiring and I was very moved by many things he said. The message is so needed and when his book, "Common Sense" comes out in a few weeks I can't wait to get it! After the movie we went late night grocery shopping and watched TV and spent time together a few hours before bed. Today on "Fun Friday" ~ our day off ~ I slept in. This was possible because the kids are now out of school. 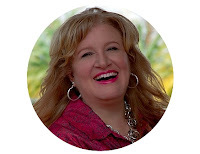 I had one client meeting (for one hour) for career coaching but other than that, I spent the day resting and catching up on friends blogs until late afternoon when I did some weeding, biked about 5 miles, walked 1 mile and then took a shower and relaxed. I really needed this day. Tomorrow I have several projects to do in preparation for Sunday, however I should get a few hours rest too which I'm really looking forward to. I'm getting it wherever I can, and it's helping me in getting on the mend. Oh yes, and ...Larry did the cooking today which was nice. :-) He made me homemade chicken noodle soup which is one thing I can eat on this special diet I'm on.